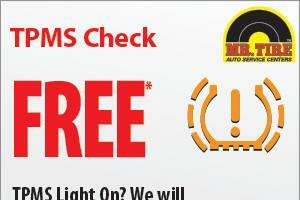 To get FREE TPMS Light Check at Mr. Tire simply print and redeem this coupon in store. *See store for complete details. With this coupon. Most vehicles. Not valid with other offers.